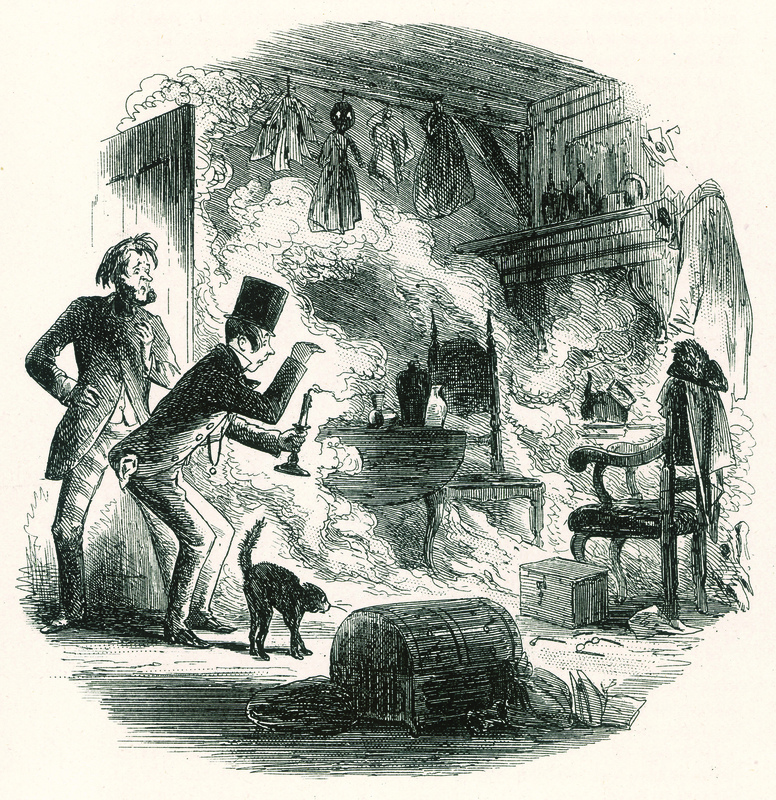 Dickins character Krook spontaneously combusts. Illustration by Phiz for the Charles Dickins novel Bleak House, 1853. This illustrates the discovery of the odd death of the wicked character Krook by spontaneous human combustion. This copy of the image comes from the Mental Floss website [Link Here].